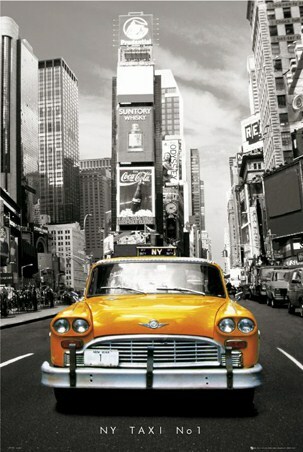 Humour Maxi Poster: Made popular by the iconic gangster film 'Scarface' the New York slang term "fuggedaboudit" is the perfect way to let someone know that they have no hope of achieving their goal. 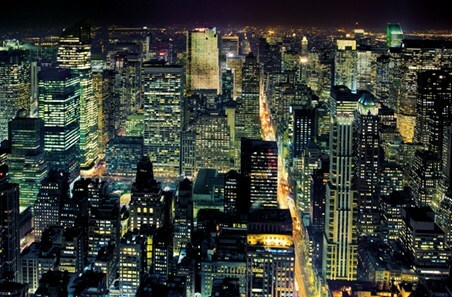 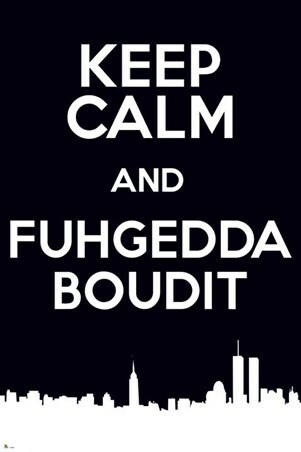 In bold black and white and sitting above the iconic Manhattan skyline, the words "Keep Calm and Fuggeddaboudit" stand out against the blackened night sky. 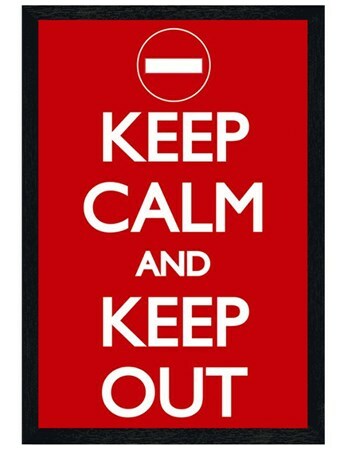 Perfect for keeping the peace in your home whatever your relationship to the local gang scene! 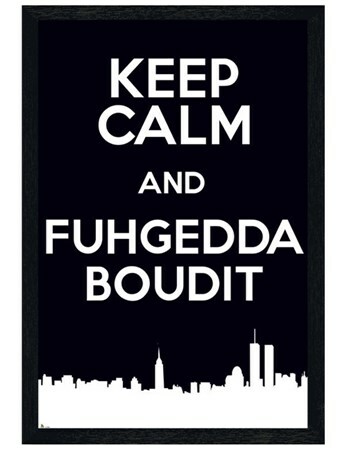 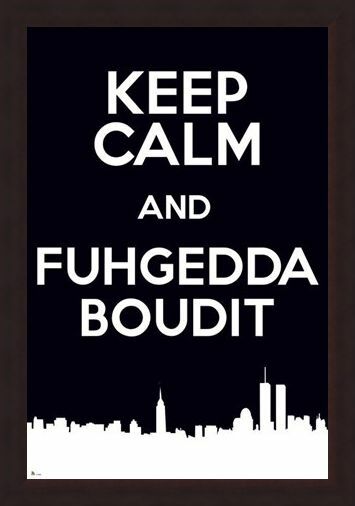 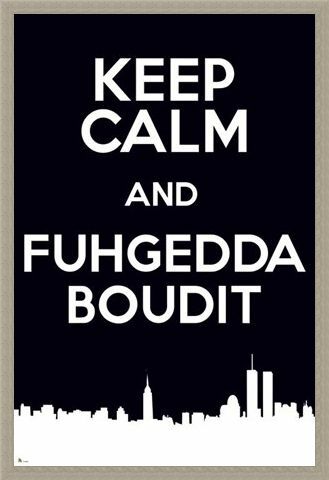 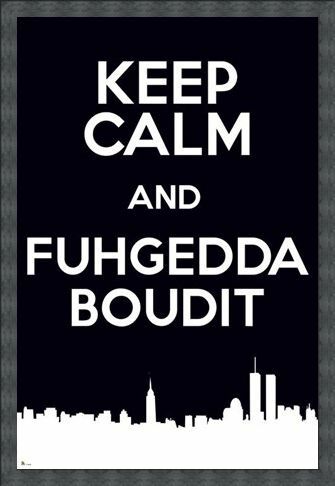 High quality, framed Keep Calm & Fuggedaboudit, New York Slang poster with a bespoke frame by our custom framing service.